The girls gave CCS an almighty scare, trailing by 1 point and missed a good chance to take the lead with 17 seconds left. A tough foul was called on the ensuing rebound and we ended up losing by 5 points as CCS made their free throws down the stretch. However, it was one of the proudest performances I have witnessed as a member of the O’Neal school. Our team performed with passion, resilience and a strong will to compete – they were terrific. NOTE: Cary Christian School Girls have won 9 out of the last 10 EPIC conference championships. Furthermore, the SUPER FANS who travelled carried themselves with immense style. They cheered our team on vigorously and with class, (even during the dubious moments where their scorers and score clock operator should have received 4 technical fouls but didn’t. OUR STUDENTS WERE NOTHING SHORT OF AWESOME. 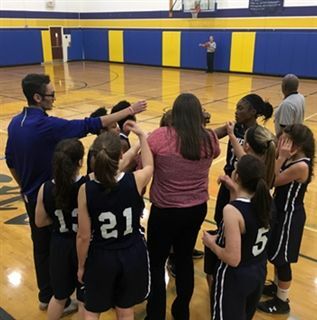 The athletic director from the other school and numerous administrators came to me at the end of the game and applauded our school’s conduct and character. So, whereas we might have narrowly lost the game, we won in many, many ways last night. Our students were amazing. I woke so proud to be a Falcon this morning. 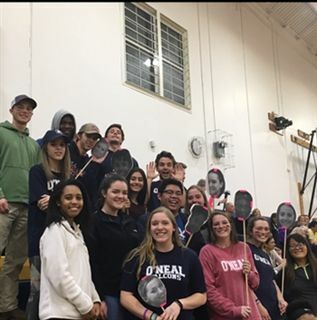 Thank you Coach Lulu Brase, Coach Porter Hunt, the girls basketball team….and… thank you SUPER FANS!